The project was completed at Ardagh Glass’ packaging plant in Irvine, west Scotland, by both Ardagh and Ireland’s state utility. 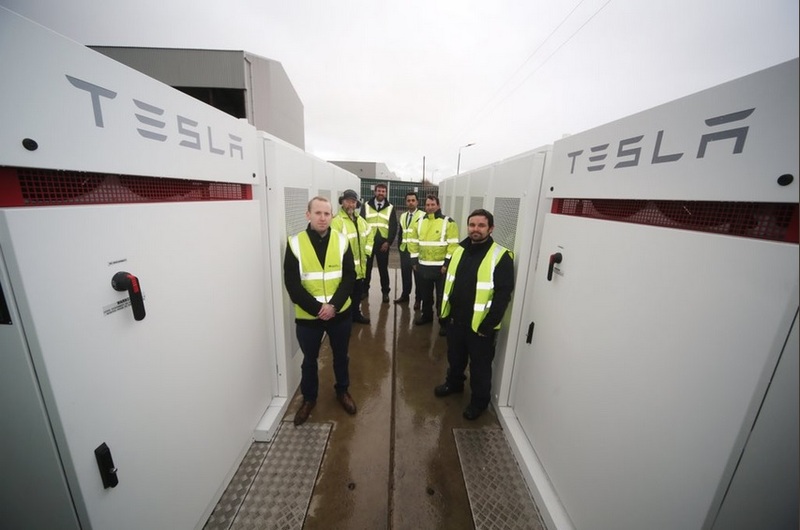 The 2MW battery system is aimed at helping Ardagh manage its onsite electricity costs. On top of providing peak shaving services for the company, ESB also said it would use the battery to deliver frequency response services to the grid via an operating platform from GridBeyond, the demand response specialist and aggregator formerly known as Endeco. ESB’s Smart Energy Services arm will provide all peak demand management services on behalf of Ardagh, while GridBeyond will be responsible for the battery participating in grid balancing markets. Speaking to sister publication Energy-Storage.News, ESB press officer Susan O’Conner explained how the company had taken on the commercial risk of ensuring grid-related revenues to deliver the battery to Ardagh with no requirement for capital investment. “As a utility operating in all sectors of the market, we are able to invest in energy assets for their lifetime, and that allows us to manage one of the big challenges here: the revenues, for a significant investment, are only certain over a period of one or two years, versus 10+ years of the asset lifetime,” O’Connor said, adding that Tesla’s 10-year warranty added some investment security to the deal. ESB also indicated it was keen to replicate the offer to other businesses, targeting those spending more than €1 million a year on their energy costs. The nascent C&I battery storage market has been an increasing focus for the UK of late. At last year’s Solar & Storage Live exhibition an array of speakers agreed that business cases were now “100% certain” as the market matured. Recent months have also seen companies like British Solar Renewables’ storage outfit Omnio and Tesvolt gain traction in the market, with C&I storage applications largely expected to swell over the coming months.